Deep Traffic presents a great show this month with Dave Hill (MTV, Comedy Central), Jared Logan (Live at Gotham), Ed Gavagan (The Moth) and more! 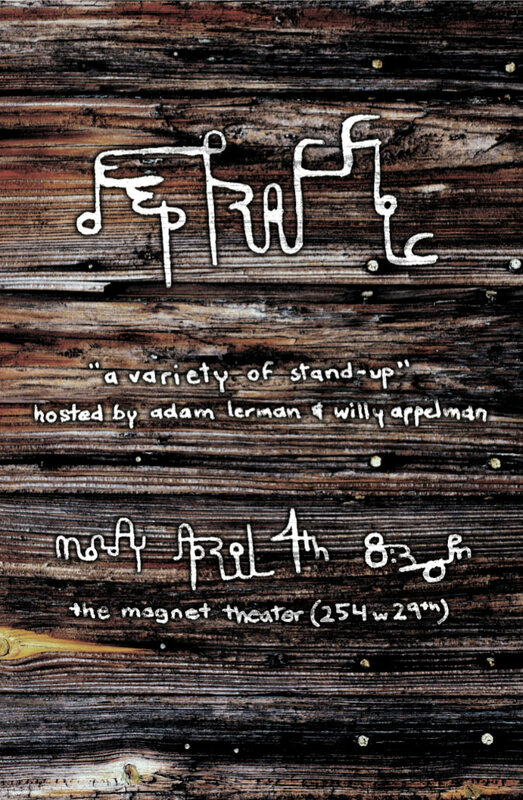 Hosted by Adam Lerman and myself! Check us out here. Get tickets here. Also, Free Pizza…triple wow. Here is a Horedy written by Alex Mills and directed by Riley Fields. So scary, it just makes you want to laugh. Cry? Just watch it now please.